Calcom Technologies is unique in the IT industry in that we treat all customers, whether a multi million dollar business or not with equality and respect. We value the small client as much as we do the large company, and we strive to serve every customer with a level of precision unheard of, and that differentiates us from chain computer repair outlets. We have worked with almost every manufacture, provider and existing technology which has given us a deep wealth of knowledge to implement the correct strategy into your network of systems. We provide recommendations utilizing this knowledge and advise you and your staff with such education. Server and system installs aren’t just ordering the latest piece of equipment and saying “It should work.” There should be a study of your current machines and software to determine if what is “new” is actually the right purchase for your operating procedures. Not only are we more than capable of handling this study, but we also can interface with your vendors to verify the plans set forth for current and forward support. If your business needs require the expertise of an IT department, but your budget dictates otherwise, or you would like to supplement your current IT staff, you can count on Calcom’s experience as a managed service provider to address your technology concerns in an structured, and dependable way. Our dynamic help desk ticket submission system coupled with our seasoned engineers accustomed to monitoring and maintaining client needs daily. Such an arrangement offers you the peace of mind of having consistently high-functioning computer systems minus some of the labor costs. Retain us in blocks of hours that can be used for all of your issues. Response times for general tasks start at 24 to 48 hours and 4 hour support time for all emergencies. At Calcom Technologies, we understand the profound impact that lost or damaged data can have on your life. Corrupted or otherwise compromised files can lead to deep financial costs, loss of customers, and, in the event of special occasions, personal heartache and distress. Our disaster recovery and backup services strive to rectify these issues so that our clients can get on with their lives. Our engineers accommodate difficult hours and situations to ensure that the state of your computer transitions seamlessly from catastrophic to capable! In the event a disaster strikes the plan we develop will engage itself and our goal is to have you up and running with 24 hours at the least in limited capacity and functioning at full capacity in 48 hours. Does your business need a new network, Internet and network printing capabilities? Are you moving to a new office and there aren’t any connections to connect? Data cables for both the computers and phones maybe needed and we can accommodate. Installation of cabling requires patience and a plan to run and terminate the proper rating of cabling for maximum speed on the network. What is often overlooked is that old wiring or mis terminated wiring can severely impact your data speed and reliable connectivity. At the completion of the work we test all connections to ensure they are working properly. Our prices include all the labor and materials in most situations and we will discuss these with you before commencing work. We will also work with your general contractor or property management to coordinate scheduling in hopes to minimize during the day disruptions. Do you worry that your computer system may not be as secure as you’d like? Are you concerned about lost data, malware, damaged equipment, or cyber spying? Calcom Tech is qualified to run a thorough risk assessment on your system, identifying weak spots, and offering protection in a detailed written report. Don’t delay and make the mistake of putting off potential problems until they become catastrophes. Many compliance organizations require yearly assessments of the network to stay certified or within governing compliance. With that being the case trust Calcom to diagnose your networks thoroughly, with our trained eyes. 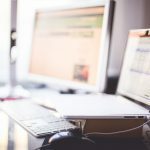 At Calcom Technologies, we offer a wide range of computer repair services to address the problems that impact your life. Computer freezing up? Forced shut downs? Chronic blue screens? For an attractive rate, we can protect you against malware and viruses that seize your system and destroy valuable data, resulting in stress and expensive repairs. If your computer is short on memory, we can analyze it and advise you on the appropriate package for your specific tech needs. Trust Calcom to provide worry-free maintenance and upgrades to help you balance your on-the-go lifestyle. We’re here for you! While your company’s needs may not require a full-time IT staff, the growth of your business demands the same high degree of support and Calcom can serve that function for you. From retained support or an advisory position we work in either capacity. We are also adept at diagnosing the root of your network or computer related problems while providing, competent solutions that ensure the least amount of disruption to business productivity. With proactive and reactionary support options we are able to fit right into the organizational structure, delivering the IT capabilities you need at a price that can comfortably accommodate your overhead operating costs. At Calcom Technologies, we understand how upsetting it can be to entrust your computer – essentially your life – to a tech service that doesn’t have your best interests at heart. At a minimum, you could face exorbitant repair and replacement costs, and at worst, your original problem could persist uncorrected, costing you additional frustration and financial loss. Our approach to your IT challenges is simple – we’re not satisfied until your needs have been fully met. At Calcom, we treat private homeowners’ concerns with the same professional respect we offer our business clientele. No problem is too small for our team to analyze and repair. Our high quality service create a foundation for a long-lasting customer relationship. Do you have questions about creating a start-up company? Are you looking for specific ways to increase the efficiency of your established network systems? Has your current IT provider dropped the ball or mis advised you? Calcom Tech’s experience has proven to help in all the areas mentioned. We help you make the most of your network computer systems, from setting long-term business objectives to addressing current business dragging system let downs. One of our trained engineers is more than happy to meet with you and overlook your environment to make recommendations. At the end we hope that our solutions make your work life more efficient and enjoyable with tech solutions suited specifically to your needs. Whether you need start-up help for a new network system or your computer unexpectedly crashes twice a day, you can rely on us to provide dependable assistance for both proactive and reactive solutions. Our specialists are renowned for going the extra mile to accommodate your busy schedule, deadlines, and tech needs, and over 10 years in the IT industry guarantees that no problem is too large for our team to tackle. Our experience goes to work so you can get back to work! Many times monthly or quarterly maintenance can prevent or catch issues before the become business downing events. Similar to the oil changes every 3000 miles for your vehicle, computer systems benefit greatly from the same type of service, maximizing the life span of your technology investments.